The TSync-cPCI-CC timing controller is a precision timing board for systems designed to operate in harsh environments. Ideal for the most demanding applications in defense, aerospace, industrial, transportation and communications, this 3U cPCI card is ruggedized and designed for conduction cooling per ANSI/VITA 30.1-2002. GPS is used to synchronize an ovenized crystal oscillator (OCXO) to keep timing accurate to Coordinated Universal Time (UTC). The card includes an on-board GPS receiver, but can also accept a NMEA GPS time message from an external source. Orolia’s industry-leading timing engine provides a stable and reliable timing reference, a comprehensive management system, and a wide variety of input/output functionality. Front panel connections provide synchronization to external 1PPS and 10 MHz signals, as well as a 1PPS output. 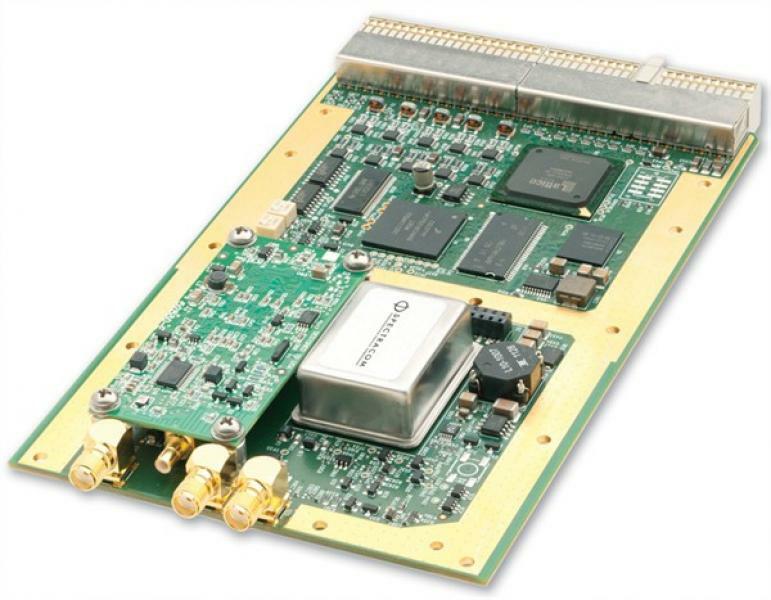 The J2 connector provides six (6) 1PPS differential signals, three (3) 1PPS LVDS signals, ten (10) 10 MHz differential signals, and three (3) 10 MHz LVDS clocks. Through an extremely flexible software-defined design approach, this board can be supplied to offer other signals and interfaces as is uniquely required by your application.